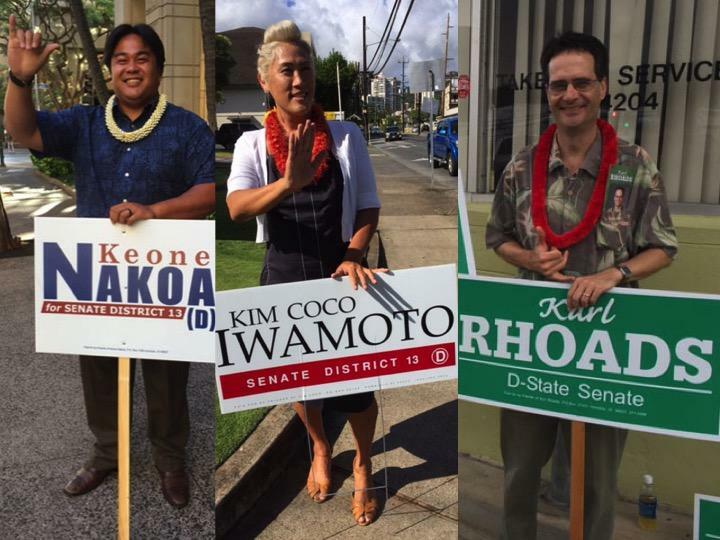 (L-R) Keone Nakoa, Kim Coco Iwamoto and Karl Rhoads, candidates for Senate District 13. The race to fill the Senate seat vacated by Suzanne Chun Oakland has attracted 3 Democratic candidates who provide real choices for voters. HPR’s Wayne Yoshioka reports.